Philadelphia City Hall is the seat of government for the city of Philadelphia, Pennsylvania. The building was constructed from 1871 to 1901 within Penn Square, in the middle of Center City. John McArthur Jr. and Thomas Ustick Walter designed the building in the Second Empire style. City Hall is a masonry building whose weight is borne by granite and brick walls up to 22 ft (6.7 m) thick. 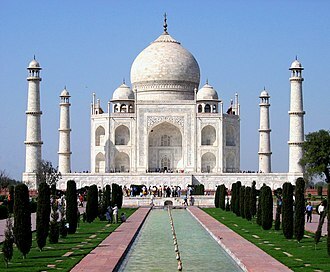 The principal exterior materials are limestone, granite, and marble. The final construction cost was $24 million. At 548 ft (167 m), including the statue of city founder William Penn atop its tower, City Hall was the tallest habitable building in the world from 1894 to 1908. 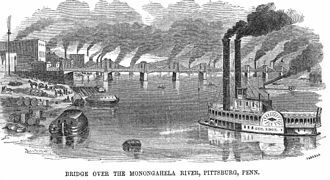 It remained the tallest in Pennsylvania until it was surpassed in 1932 by the Gulf Tower in Pittsburgh. It was the tallest in Philadelphia until 1986 when the construction of One Liberty Place surpassed it, ending the informal gentlemen's agreement that had limited the height of buildings in the city to no higher than the Penn statue. In 1976, City Hall was designated a National Historic Landmark. The building was designed by Scottish-born architect John McArthur Jr. and Thomas Ustick Walter in the Second Empire style, and was constructed from 1871 to 1901 at a cost of $24 million. City Hall's tower was completed by 1894, although the interior wasn't finished until 1901. Designed to be the world's tallest building, it was surpassed during construction by the Washington Monument and the Eiffel Tower. Upon completion of its tower in 1894, it became the world's tallest habitable building. It was also the first secular building to have this distinction, as all previous world's tallest buildings were religious structures, including European cathedrals and—for the previous 3,800 years—the Great Pyramid of Giza. With almost 700 rooms, City Hall is the largest municipal building in the United States and one of the largest in the world. The building houses three branches of government: the city's executive branch (the Mayor's Office), its legislature (the Philadelphia City Council), and a substantial portion of the judicial activity in the city (the Civil Division and Orphan's Court of the Pennsylvania Court of Common Pleas for the First Judicial District are housed there, as well as chambers for some criminal judges and some judges of the Philadelphia Municipal Court). The tower features a clock face on each side that is 26 ft (7.9 m) in diameter. The clock faces are larger in diameter than those on Big Ben which measure 23 ft (7 m). City Hall's clock was designed by Warren Johnson and built in 1898. City Hall's observation deck is located directly below the base of the statue, about 500 ft (150 m) above street level. 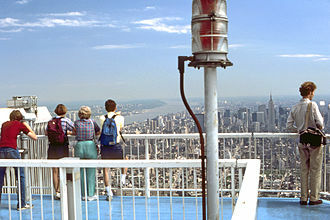 Once enclosed with chain-link fencing, the observation deck is now enclosed by glass. It is reached in a 6-person elevator whose glass panels allow visitors to see the interior of the iron superstructure that caps the tower and supports the statuary and clocks. Stairs within the tower are only used for emergency exit. The ornamentation of the tower has been simplified; the huge garlands that festooned the top panels of the tower were removed. 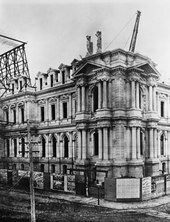 In the 1950s, the city council investigated tearing down City Hall for a new building elsewhere. They found that the demolition would have bankrupted the city due to the building's masonry construction. Beginning in 1992, Philadelphia City Hall underwent a comprehensive exterior restoration, planned and supervised by the Historical Preservation Studio of Vitetta Architects & Engineers, headed by renowned historical preservation architect Hyman Myers. The majority of the restoration was completed by 2007, although some work has continued, including the installation of four new ornamental courtyard gates, based on an original architectural sketch, in December 2015. City Hall became a National Historic Landmark in 1976. In 2006, it was also named a National Historic Civil Engineering Landmark by the American Society of Civil Engineers. The building is topped by a 37 ft (11 m) bronze statue weighing 53,348 lb (24,198 kg) of city founder William Penn, one of 250 sculptures created by Alexander Milne Calder that adorn the building inside and out. The statue was cast at the Tacony Iron Works of Northeast Philadelphia and hoisted to the top of the tower in fourteen sections in 1894. The statue is the tallest atop any building in the world. Despite its lofty perch, the city has mandated that the statue be cleaned about every ten years to remove corrosion and reduce deterioration due to weathering, with the latest cleaning done in May 2017. Penn's statue is hollow, and a narrow access tunnel through it leads to a 22-inch-diameter (56 cm) hatch atop the hat. Calder wished the statue to face south so that its face would be lit by the sun most of the day, the better to reveal the details of his work. The statue actually faces northeast, towards Penn Treaty Park in the Fishtown section of the city, which commemorates the site where Penn signed a treaty with the local Native American tribe. Pennsbury Manor, Penn's country home in Bucks County, is also located to the northeast. By the terms of a gentlemen's agreement that forbade any structure from rising above the hat on the Penn statue, Philadelphia City Hall remained the tallest building in the city until it was surpassed by One Liberty Place in 1986. The abrogation of this agreement supposedly brought a curse onto local professional sports teams. Twice during the 1990s, the statue was partially clothed in a major league sports team's uniform when they were in contention for a championship: a Phillies cap in 1993 and a Flyers jersey in 1997—both teams lost. 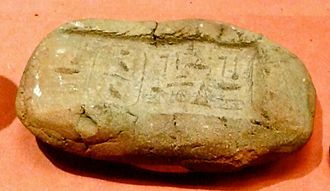 The supposed curse ended 22 years later when the Phillies won the 2008 World Series, a year and four months after a Penn statuette had been affixed to the final beam of the Comcast Center during its topping out ceremony in June 2007. Another Penn statuette was placed on the topmost beam of the Comcast Technology Center in November 2017, and the Eagles won the Super Bowl a few months later. City Hall is a masonry structure with load-bearing walls up to 22 feet (6.7 m) thick. The principal exterior materials are limestone, granite, and marble. The only structural and exterior metallic parts of the building are the upper portion of the clock tower and the bronze statuary. City Hall was the tallest habitable building in the world from 1894 to 1908, measuring 548 ft (167 m) to the top of the statue of William Penn. 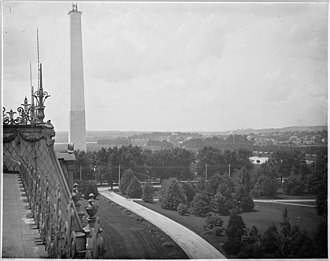 It is the 16th-tallest building in Pennsylvania, and was the tallest building in the state from 1894 until 1932 when it was surpassed by the Gulf Tower in Pittsburgh. It was the tallest building in Philadelphia from 1894 until 1986 when One Liberty Place ended the gentlemen's agreement which had limited building heights to no higher than William Penn's hat. The tallest statue atop any building in the world is the 37 ft (11 m) tall statue of William Penn, sculpted by Alexander Milne Calder. 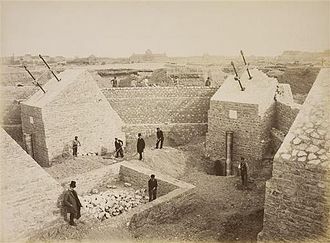 Approximately 88 million bricks and several thousand tons of stone were used in construction. 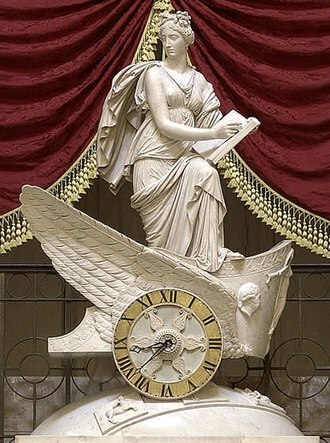 There are four bronze eagles, each weighing three tons with 12 ft (3.7 m) wingspans, perched above the tower's four clocks. 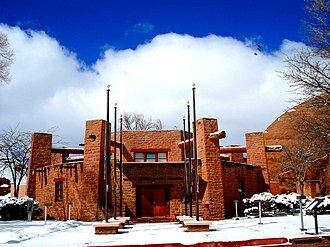 The building was voted #21 on the American Institute of Architects' list of Americans' 150 favorite U.S. structures in 2007. City Hall is situated on land that was reserved as a public square upon the city's founding in 1682. Originally known as Centre Square—later renamed Penn Square—it was used for public gatherings until the construction of City Hall began in 1871. Centre Square was one of the five original squares of Philadelphia laid out on the city grid by William Penn. The square had been located at the geographic center of Penn's city plan, but the Act of Consolidation in 1854 created the much larger and coterminous city and county of Philadelphia. Though no longer at the exact center of the city, the square remains situated in the center of the historic area between the Delaware and Schuylkill rivers; an area which is now called Center City. 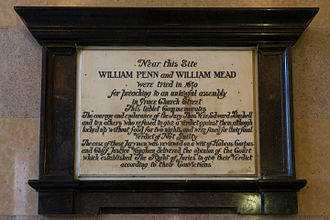 Penn had intended that Centre Square be the central focus point where the major public buildings would be located, including those for government, religion, and education, as well as the central marketplace. However, the Delaware riverfront would remain the de facto economic and social heart of the city for more than a century. City Hall has been a filming location for several motion pictures including Rocky (1976), Trading Places (1983), Philadelphia (1993), 12 Monkeys (1995), National Treasure (2004), Transformers: Revenge of the Fallen (2009), and Limitless (2011). I The Council on Tall Buildings and Urban Habitat (an authority on the official height of tall buildings worldwide) provides the following criteria for defining the completion of a building: "topped out structurally and architecturally, fully-clad, and open for business, or at least partially occupiable." Philadelphia City Hall was occupied by the mayor beginning in 1889 and the Supreme Court of Pennsylvania beginning in 1891, and the building was topped out in 1894. City Hall was the tallest habitable building in the world until 1908 when surpassed by the Singer Building. City Hall was surpassed during its construction by the Washington Monument and the Eiffel Tower, and is slightly lower by about 0.5 m (1 ft 8 in) than the Mole Antonelliana (completed in 1889); however, none of those three structures are considered habitable buildings. 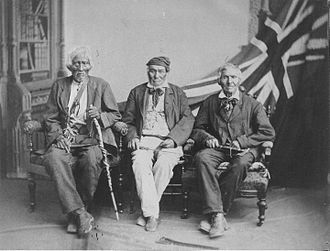 ^ a b c d e f g h i "National Register of Historic Places Inventory - Nomination Form". (archive) National Park Service. pp. 2, 10. Retrieved November 9, 2017. 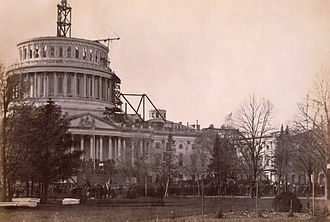 "The tower rising 548 feet, City Hall was the highest occupied building in America…Construction lasted for thirty years (1872-1901); the building was occupied in stages over a period of twenty-two years (1877-1898)…The statue was…hoisted to the top of the tower in fourteen sections in 1894." ^ a b c ""History of City Hall: 1886-1890". (archive) Retrieved November 9, 2017. "1889: Mayor Fitler moves into completed offices on west side." ^ a b c "History of City Hall: 1891-1901". (archive) Retrieved November 9, 2017. "1891: State Supreme Court opens in permanent courtroom." ^ "City Hall virtual tour room directory". phila.gov. City of Philadelphia. Retrieved December 2, 2018. ^ "National Register Digital Assets - Philadelphia City Hall". nps.gov. National Park Service. December 8, 1976. Retrieved March 9, 2018. ^ "Philadelphia City Hall, Philadelphia". Emporis. 2011. Retrieved March 3, 2011. ^ "City Hall Virtual Tour". phila.gov. City of Philadelphia. Retrieved May 21, 2018. ^ "City Hall: Trivia & Fun Facts: The Tower: The Clock (four faces)". Archived from the original on March 10, 2010. Retrieved May 21, 2018. Note: click the 'Trivia & Fun Facts' link at left, then the 'Tower' link at top. ^ "Big Ben:The Clock Dials". parliament.uk. Parliament of the United Kingdom. Retrieved May 21, 2018. ^ "Johnson Controls, Inc.". 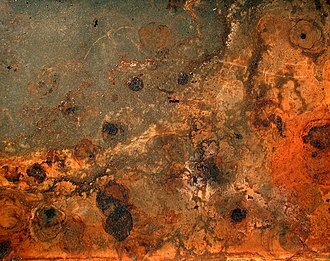 company-histories.com. Retrieved March 9, 2018. ^ "The Clock Business 1903m - Construction begins on great floral clock for 1904 World’s Fair". wsjsociety.com. The Warren Johnson Society. Retrieved March 9, 2018. ^ Fish, Larry (April 15, 1999). "City Hall Sets Up Eight-year Plan To Clean Up Its Act $130 Million Project To Restore Building's Luster". philly.com. Philadelphia Media Network (Digital), LLC. Archived from the original on March 11, 2016. Retrieved February 17, 2016. ^ Adams, Jennifer (2012). "Reviving A National Landmark". Retrieved February 17, 2016. ^ Marsh, Bill (July 25, 2006). "People Stop Fighting Philadelphia City Hall". www.nytimes.com. Retrieved February 17, 2016. ^ Harris, Linda K. (September 9, 2015). "First of Four Monumental Portal Gates Installed at City Hall". centercityphila.org. Center City District | Central Philadelphia Development Corporation | Center City District Foundation. Archived from the original on February 11, 2016. Retrieved February 17, 2016. ^ "asce_news_Philadelphia City Hall Named as Historic Landmark". Archived from the original on September 27, 2007. Retrieved April 3, 2007. ^ a b Trinacria, Joe (May 17, 2017). "William Penn Is Getting a Facelift" (archive). phillymag.com. Philadelphia Magazine. Retrieved November 13, 2017. ^ "William Penn Statue". (archive) Retrieved November 13, 2017. ^ Hornblum, Allen M. (2003). Philadelphia's City Hall. Arcadia Publishing. p. 63. ^ a b "Billy Penn no Longer the High Spot". The Philadelphia Inquirer. September 11, 1986. pp. B01. ^ Witmer, Ann (April 26, 2013). "Philadelphia's City Hall Tower offers a stunning 500-foot view: Not far by car". pennlive.com. Retrieved December 8, 2017. ^ Matza, Michael (October 22, 2008). 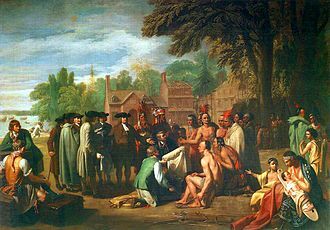 "Lifting the curse of William Penn". philly.com. Archived from the original on 2008-12-03. Retrieved 2009-01-14. ^ Lattanzio, Vince (November 30, 2017). "The Comcast Technology Center Is Philly's Tallest Building and Yes, There's a Mini Billy Penn Up There". NBC10 Philadelphia. NBCUniversal Media, LLC. Archived from the original on December 2, 2017. Retrieved December 2, 2017. ^ Bacharach, Barak (2016). "History of the world's tallest buildings (until 1931)". www.skysaver.com. Retrieved October 30, 2017. ^ a b c "Philadelphia City Hall". www.emporis.com. Retrieved October 30, 2017. ^ "William Penn Statue - A Bronze Sculpture, Over 37 Feet High and 53,000 Pounds". www.enjoyingphiladelphia.com. 2017. Retrieved October 30, 2017. ^ "Philadelphia City Hall location". philadelphiabuildings.org. The Athenaeum of Philadelphia. Retrieved November 29, 2017. ^ "Philadelphia Parks – William Penn Historic Philadelphia Squares Oases". fishtownonline. Archived from the original on December 22, 2015. ^ Weigley, RF; et al. (1982). Philadelphia: A 300-Year History. New York and London: W. W. Norton & Company. ISBN 0-393-01610-2. …hardly anyone lived west of Fourth Street before 1703 … Not until the mid-nineteenth century … was the Schuylkill waterfront fully developed. Nor was Centre Square restored as the heart of Philadelphia until the construction of City Hall began in 1871. ^ "Centre Square: The heart of Philadelphia" (archive). by John Kopp. May 8, 2017. phillyvoice.com. Philly Voice - WWB Holdings, LLC. Retrieved November 13, 2017. ^ "Filmed in Philadelphia: 25 movies that give Philly locations a silver screen spotlight". www.pennlive.com. March 21, 2017. Retrieved November 11, 2017. ^ "CTBUH Height Criteria: Building Status - Complete" (archive.org). ctbuh.org. Council on Tall Buildings and Urban Habitat. Retrieved November 27, 2018. ^ "Mole Antonelliana". museocinema.it. Museo Nazionale del Cinema. Retrieved November 12, 2017. ^ "Mole Antonelliana". emporis.com. Emporis Gmbh. Retrieved November 12, 2017. Gurney, George, Sculpture of a City—Philadelphia's Treasures in Bronze and Stone, Fairmount Park Association, Walker Publishing Co., Inc., New York, NY, 1974. Hayes, Margaret Calder, Three Alexander Calders: A Family Memoir by Margaret Calder Hayes, Paul S. Eriksson, publisher, Middlebury, Vermont, 1977. Wikimedia Commons has media related to Philadelphia City Hall. Fishtown is a neighborhood in Philadelphia, United States. Some newer residents expand the area to Lehigh Avenue, while some older residents shrink the area to Norris Street and it is served by the Market–Frankford Line rapid transit subway/elevated line of the SEPTA system. Fishtown is known as a working class Irish Catholic neighborhood, however, the neighborhood has seen a large influx of young urban professionals and gentrification. The name Fishtown is derived from the former role as the center of the shad fishing industry on the Delaware River. 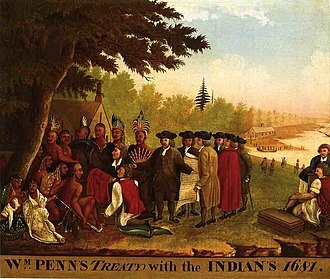 Also, in the early 18th century, an English colonist was fabled to have caught the largest shad in the world in the Delaware River, the area was originally inhabited by members of the Turtle Clan of the Lenni Lenape Indian tribe. The first European settlers were a group of six Swedish farming families, replaced by British landed gentry, British shipbuilders, Fishtown was originally a small section of the town of Kensington, close to the Delaware River and just a few blocks long. The original town of Kensington was only 191.5 acres of land, todays Penn Treaty Park sits where the Fairman Mansion once stood. Kensington was founded by Captain Anthony Palmer, an Englishman by way of Barbadoes, Palmer laid out his town and sold parcels to the local fishermen and shipbuilders. Anthony Palmer eventually became active in the council and became acting Governor of Pennsylvania in 1747-1748. Palmer died in 1749 and was buried in Christ Church Cemetery in Philadelphia, within a few generations there was another influx of German immigrants, still in the late 19th century Polish and Irish Catholic immigrants. The community has three Roman Catholic Churches, St. Laurentius, built by the Polish immigrants, and the Holy Name of Jesus and the Immaculate Conception, both built predominantly by Irish immigrants. Holy Name along with Saint Laurentius and the Immaculate Conception continue to serve the community--albeit the latter two as worship sites and no longer as independent parishes, most long-time residents trace their ancestry to Irish and Polish Catholic immigrants. In recent years Fishtown has experienced moderate gentrification characterized by significant rises in housing prices and the opening of art, entertainment. An influx of artists and professionals has joined the ranks of officers, fire fighters, carpenters, stonemasons, sheet-metal workers. The neighborhood was chosen by the state of Pennsylvania to be the site of the SugarHouse Casino gaming complex on Delaware Avenue near Frankford Avenue, the George Chandler School, Green Tree Tavern, and Penn Treaty Junior High School are listed on the National Register of Historic Places. Fishtown is the eastern most triangle of the larger surrounding Kensington District, the Kensington District, when created, had a northern border of Norris Street, an eastern border of the Delaware River, a southern border of the Cohocksink Creek, and a western border of 6th Street. The Kensington District is not to be confused with the Kensington neighborhood of today, there has never been an official designation of this area as Fishtown. The American Society of Civil Engineers is a tax-exempt professional body founded in 1852 to represent members of the civil engineering profession worldwide. Headquartered in Reston, Virginia, it is the oldest national engineering society in the United States and it was the first national engineering society created in the United States. In 1999, the ASCE elected the top-ten civil engineering achievements that had the greatest positive impact on life in the 20th century in broad categories. Monuments of the Millennium were a combination of technical engineering achievement and inspiration, and it publishes conference proceedings, manuals of practice, technical reports, and monographs. The ASCE corporate website hosts the society’s bookstore, the access to all journal articles published since 1983, all conference proceedings since 2000. Each year, more than 55,000 engineers earn continuing education units and/or professional development hours by participating in ASCE’s continuing education programs, ASCE hosts more than 15 annual and specialty conferences, over 200 continuing education seminars and more than 300 live Web seminars. The Societys Committee on Technical Advancement has 10 divisions, each year, more than 6,000 civil engineering professionals contribute volunteer technical expertise through participation on ASCE technical committees. These committees are housed in the divisions of the Committee on Technical Activities or in the Society’s institutes, the efforts of these volunteers advance the profession in many ways including the numerous conferences held each year, manuals of practice and standards. Certification is the recognition of attaining advanced knowledge and skills in a specialty area of civil engineering, ASCE offers certifications for engineers who demonstrate advanced knowledge and skills in their area of engineering. American Academy of Water Resources Engineers Academy of Geo-Professionals Academy of Coastal, michel Award for Industry Advancement of Research and the Charles Pankow Award for innovation,11 scholarships and fellowships for student members. Special consideration is given to private practice engineering work that is recognized as a contribution to the field of environmental engineering. The Lifetime Achievement Award has been presented annually since 1999 and recognizes five different individual leaders, one award is present in each category of design, government and management. ASCE designates national and international Historic Civil Engineering Landmarks, on February 12,2007 Lt. Gen Strock gave all expert review panel members an Outstanding Civilian Service Medals. On June 1,2007, the ASCE issued its expert review panel report, the report stated that had levees and pump stations not failed, far less property loss would have occurred and nearly two-thirds of deaths could have been avoided. The ASCE administration was criticized by the Times-Picayune for an attempt to minimize, the Corps acknowledged receiving a copy of the letter and refused to comment until the ASCEs Committee on Professional Conduct had commented on the complaint. It took over a year for the ASCE to announce the results of the CPC, the ASCE self-study panel did not file charges of ethical misconduct and blamed errors on staff and not review panel members having created the June press release. Ulm Minster is a Lutheran church located in Ulm, Germany. It is the tallest church in the world, and the 4th tallest structure built before the 20th century, although sometimes referred to as Ulm Cathedral because of its great size, the church is not a cathedral as it has never been the seat of a bishop. Therefore, the building is referred to as a brick church. As such, it lays claim to the rank of second- to fourth-largest, after San Petronio Basilica in Bologna and together with Frauenkirche in Munich, Ulm Minster was begun in the Gothic era but not completed until the late 19th century. Nevertheless, all of the church except the towers and some outer decorations was complete, unlike Cologne Cathedral, where less than half of the work had been done,768 steps lead to the top of the minsters spire. At 143 m there is a view of Ulm in Baden-Württemberg and Neu-Ulm in Bavaria and, in clear weather. The final stairwell to the top is a tall, spiraling staircase that has enough room for one person. In the 14th century, the church of Ulm was located outside the walled city. The burghers of Ulm decided to erect a new church within the perimeters of the city, in 1377 the foundation stone was laid. The first plan was to build a hall church with aisles as wide. The building should have a spire on the west and two steeples above the choir. In 1392 Ulrich Ensingen was appointed master builder and it was his plan to make the western church tower the tallest spire, which it remains at the present day. As an optical counterweight to the tower, he alterd the plan by building a basilica with a central nave much higher – higher than the already built. The church, consisting of the naves and the choir. However, the vaults of the wide aisles and the high nave burdened the columns with too much lateral force at different heights. To avoid structural damage, the vaults of the aisles were demolished and replaced by vaults of half widths, in a referendum in 1530/31, the citizens of Ulm converted to Protestantism during the Reformation. Love Park, officially known as John F. Kennedy Plaza, is a plaza located in Center City, Pennsylvania. The park is nicknamed Love Park for its reproduction of Robert Indianas Love sculpture which overlooks the plaza, Love Park is the brainchild of former Philadelphia City Planner Edmund Bacon and architect Vincent G. Kling. The park is across from City Hall and was designed as a terminus for the Benjamin Franklin Parkway, the park was built in 1965 and covers an underground parking garage. The main features of the plaza are curved granite steps and a single spout fountain added in 1969, what was once the city visitor center was closed down for five years, but opened up in May 2006 as The Fairmount Park Welcome Center. The park was dedicated in 1967 as John F. Kennedy Plaza after President John F. Kennedy, a Love sculpture, designed by Robert Indiana, was first placed in the plaza in 1976 as part of the United States Bicentennial celebration. It was removed in 1978, but the sculpture was missed, Love Park is undergoing renovation and is closed to the public. Big Ben is the nickname for the Great Bell of the clock at the north end of the Palace of Westminster in London and is usually extended to refer to both the clock and the clock tower as well. The tower is known as Elizabeth Tower, renamed to celebrate the Diamond Jubilee of Elizabeth II in 2012, previously. When completed in 1859, it was, says clockmaker Ian Westworth, “the prince of timekeepers, a British cultural icon, the tower is one of the most prominent symbols of the United Kingdom and is often in the establishing shot of films set in London. The new parliament was built in a neo-gothic style, the tower is designed in Pugins celebrated Gothic Revival style, and is 315 feet high. The bottom 200 feet of the structure consists of brickwork with sand-coloured Anston limestone cladding. The remainder of the height is a framed spire of cast iron. The tower is founded on a 50 feet square raft, made of 10 feet thick concrete, the four clock dials are 180 feet above ground. The interior volume of the tower is 164,200 cubic feet, the tower currently has no lift, though one is planned, so those escorted must climb the 334 limestone stairs to the top. Due to changes in conditions since construction, the tower leans slightly to the north-west, by roughly 230 millimetres over 55 m height. This includes a maximum of 22 mm increased tilt due to tunnelling for the Jubilee line extension. Due to thermal effects it oscillates annually by a few millimetres east and west, journalists during Queen Victorias reign called it St Stephens Tower. As MPs originally sat at St Stephens Hall, these referred to anything related to the House of Commons as news from St. Stephens. 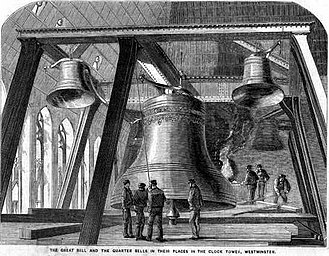 The usage persists in Welsh, where the Westminster district, and this was thought to be appropriate because the large west tower now known as Victoria Tower was renamed in tribute to Queen Victoria on her diamond jubilee. On 26 June 2012, the House of Commons confirmed that the change could go ahead. The Prime Minister, David Cameron, announced the change of name on 12 September 2012 at the start of Prime Ministers Questions. The change was marked by a ceremony in which the Speaker of the House of Commons, John Bercow. Center City includes the central business district and central neighborhoods of Philadelphia, in the U. S. state of Pennsylvania. 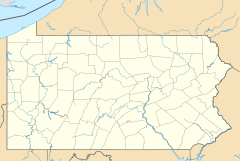 It is the former City of Philadelphia prior to the Act of Consolidation,1854 which extended the city borders to be coterminous with Philadelphia County. Greater Center City has grown into the second-most populated downtown area in the United States, after Midtown Manhattan in New York City, with an estimated 183,240 residents in 2015. Center City is bounded by South Street to the south, the Delaware River to the east, the Schuylkill River to the west and this means that Center City occupies the boundaries of the city before it was made coterminous with Philadelphia County in 1854. 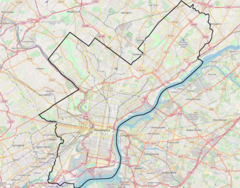 The Center City District, which has special powers of taxation, uses a complicated, irregularly shaped boundary that includes much but not all of this area, the Philadelphia Police Department patrols three districts located within Center City. The three patrol districts serving Center City are the 6th, 9th, and 17th districts, in March 1987, One Liberty Place broke the gentlemens agreement not to exceed the height of the statue of William Penn atop City Hall. Since the completion of One Liberty Place, no Philadelphia major-league sports team had won a championship for the next two decades, a phenomenon known as the Curse of Billy Penn. In an effort to reverse the curse, a 3-foot statue of Penn was affixed to the top of the Comcast Center upon its completion as the new tallest building in 2007. The Comcast Center, which was completed in 2007, is now the tallest building in Pennsylvania,30 feet taller than One Liberty Place, Two buildings now under construction —1441 Chestnut and the Comcast Technology Center — are slated to be taller than City Hall. The latter would be the eighth-tallest building in the Western Hemisphere, the first publicly accessible vantage point higher than City Hall opened at One Liberty Observation Deck on the 57th floor of One Liberty Place in 2015. While Philadelphias population declined, Center Citys rose 10% between 1990 and 2000, in 2007, the city designated the area bound by 11th Street, Broad Street, Chestnut Street and Pine Street as the Gayborhood. Philadelphia City Hall (built 1874-1901). When completed, this was the tallest occupied building in the world, surpassed in height only by the Washington Monument (7 feet / 2.1 meters taller) and the Eiffel Tower (515 feet / 157 meters taller). It remains the world's tallest all-masonry occupied building. Penn Treaty Park in Fishtown. The Northeast in 1900, showing the region still to be a collection of towns and farms. A chain-link privacy fence topped with razor wire protecting a utility power substation. 1500 block of E. Berks Street, a typical residential street in Fishtown, in 2007. The park is dedicated to the late United States president John F. Kennedy. A plaque at the park describes the dedication. 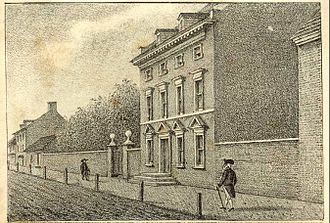 The "Treaty Elm," Birch's Views of Philadelphia (1800). A beam of PSL lumber installed to replace a load-bearing wall at the first floor of a three-story building.